Although making a “swish” in basketball might show a high level of skill or talent, sometimes it’s not much more than a fortunate throw. However, someone making a swish in their oral hygiene routine shows a high level of personal commitment to health and success every time. That’s because, for some people, using mouthwash increases the protection of your teeth. Choosing a mouthwash (sometimes called a mouth rinse) might leave you a little intimidated. Whitening, germ killing, gingivitis preventing, cavity fighting, or dry mouth formulated? Alcohol or alcohol-free? Orange zest, fresh mint, cool mint, eucalyptus, deep-sea spearmint? Blue, green, yellow, purple, red, clear or brown? Brown mouthwash? Unfortunately, yes. A common question with so many options and combinations is, “Which mouthwash should I use?” Thankfully, there are ways to narrow down the selection. Limit your choices to products that have the Seal of Approval from the American Dental Association, or ADA. Being an authority on all things dental, the ADA only gives their seal to products that do their intended jobs safely and successfully, proven through scientific, documented evidence. They do the same for toothpastes and toothbrushes as well. Discuss your options with your dentist. Would you best benefit from a mouthwash that helps with preventing gingivitis, or reducing bad breath, or tartar control? The Placerville Dental Group keeps up to date with oral hygiene products and we have tips and pointers for all our patients. Some mouthwashes are available by prescription only, so make sure you talk to us about which mouthwash fits your circumstances. Consider how much you will use. If you soak your toothbrush in mouthwash or intend to use it more than twice a day, higher-end choices will become costly in the long run. Do your research – compare prices and quantities. You might find a brand of mouthwash that has the same features but at a lower cost. Be careful to make sure it has the same quantities of active ingredients, so you get the same result. What if you already have a dentist-approved routine, and don’t really need that extra protection? Well, some mouthwashes only focus on giving your mouth that fresh feeling, to help get you going in the morning or remove that breakfast aftertaste. So, if you’re going to use mouthwash anyway, there’s no harm in shoring up your defenses with a little fluoride mouthwash. Take the recommended amount into your mouth without swallowing it. Close your mouth, keeping your teeth slightly apart. Swish the liquid around your mouth and teeth for at least thirty seconds. After spitting out the mouthwash, refrain from eating or drinking for half an hour to fully benefit from any active ingredients. 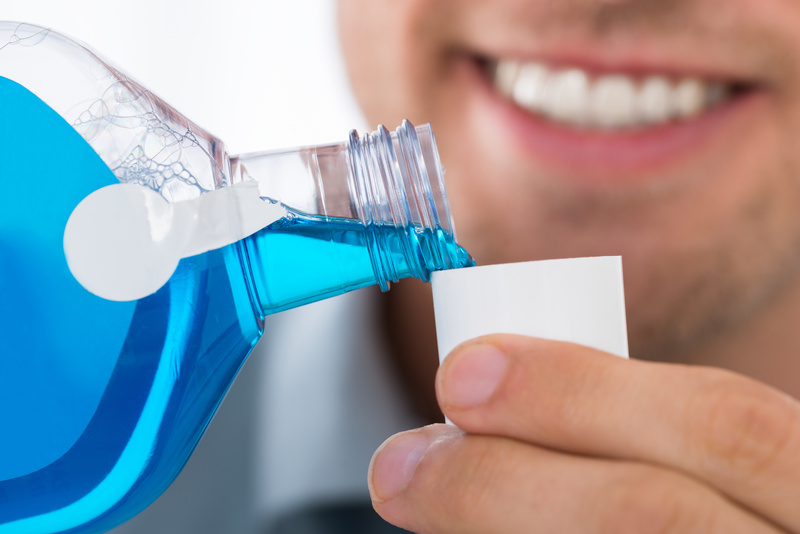 If you experience any untoward side effects, hold off on using that mouthwash and discuss the issue with your dentist at the Placerville Dental Group. The source could be an allergic reaction, excessive use, or a symptom of a more significant issue. And, as always, if you have any questions or concerns about using mouthwash, feel free to contact us over the phone or online.